+2 Strength, +2 Charisma, -2 Intelligence: Einherjar are strong and possess amiable personalities, however they are brash and tend to let their emotions sway their judgement rather than reason. Powerful Build: Einherjar are Medium sized, but only just so. Their towering builds give them a +1 to CMD and CMB as well as the ability to wield weapons as if they were Large sized. Acclimated to Cold: Einherjar have Cold Resistance 5. Light-Touched: Einherjar are always considered Light-Aligned unless their class would dictate otherwise. Survivor: Einherjar gain a +2 racial bonus on Survival and Heal checks, these Skills are always considered class skills. 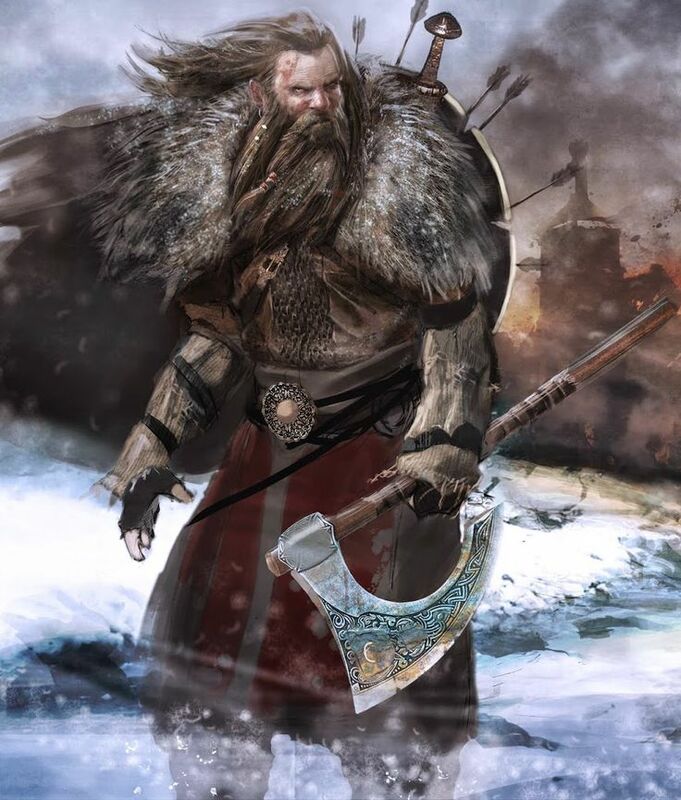 Languages: Einherjar begin play speaking Common and Einherji. Einherjar with high Intelligence scores may choose from the following languages: Celestial, Asbjorn, Giant, Sylvan, and Draconic.